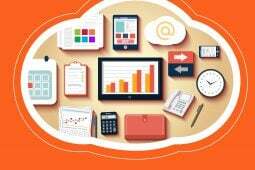 Home » Knowledge Base » Point Of Sale » What Is POS? POS is an abbreviation for Point of Sale (POS). This is literally the place in a retail environment where goods are purchased and the exchange takes place between buyers and sellers. The term POS has evolved to represent the software used in this transaction process. What is POS and Do I Need it? How Does POS software Work? How Will POS Help Your Business? Is POS Software for Your Small Business? When your waitress taps your lunch order into an iPad, and the food arrives moments later, you’ve seen a POS system at work. If you’ve ever had the clothing store sales rep show you an item from another collection on a tablet, that’s another victory for POS software. In fact, the entire retail and food service industries are quickly figuring out the tremendous benefits of this latest wave of technology. But what exactly is POS software, how does it work, and how can it help your business thrive in this competitive environment? 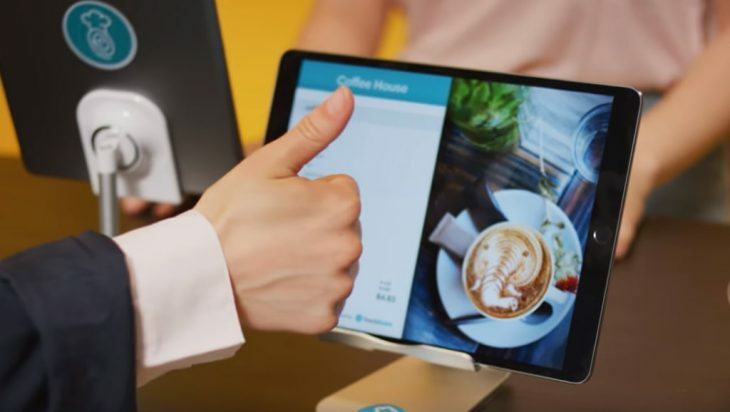 POS stands for point of sale, and it’s a combination of hardware and software that streamlines and manages your business operations. Obviously, on its simplest level, a POS is the point at which the customer gives you money for the items being purchased (i.e., the sale or Point of Sale). But good POS software will track sales, monitor employees, manage inventory, and gauge customer loyalty. Many current POS systems also take orders, process payments, and handle returns, taxes, salaries, and more. In short, your POS software can really take your entire business under its wing, managing as much or as little of your business operations as you want. POS software is surprisingly simple for such an all-encompassing tool. There are two basic parts: the hardware and the software. The hardware is a physical point of sale location. This can be a cash register, tablet, even a smartphone with a card scanner attached. Other pieces of hardware can include a barcode scanner, receipt printer, and credit card reader. If your business is mobile, then a single device can act for all of these items, processing credit card payments, sending out digital receipts, and recording sales transactions. The software is provided by your POS vendor, and they generally work with any hardware solution you have (but not always, so check compatibility before you purchase either hardware or software). You can get on-premise software or cloud-based. On-premise is a closed circuit network, doesn’t depend on the internet, and is manually maintained by the business. 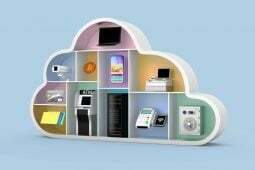 Cloud-based POS systems work on the internet and are usually referred to as Saas (software as a service). Store owners pay a regular fee and get the service along with tech support and updates included. 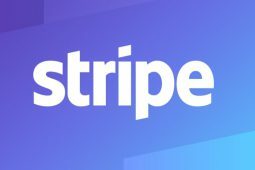 Many SMB prefer SaaS for its simplicity, and with so much competition on the market, you can really get competitive pricing in this field. One of the primary reasons small businesses are adopting POS software is because of the time savings you can enjoy. Since all transactions are run directly through the system, there is no manual data entry involved. So, a POS system can help cut down on much of the manual labor involved in running a business such as bookkeeping, taxes, payroll, and more. You can save hours every month and year letting the POS software take care of your taxes including VAT, sales tax, federal taxes, service taxes, and more. POS software has a built-in time clock, so employees can easily clock in and out from the system. This is not only convenient for the employees, but it makes processing payroll much faster and easier since all of the data such as late, sick, and vacation days, double shifts, holiday shifts, etc. is right there. The POS system also gives valuable insight into your employees’ productivity. You can see which workers are bringing in the most sales and who is slacking off. POS software offers relief from the tedious and time-consuming chore of inventory checking and restocking. All inventory is catalogued within the system, and every item sold is recorded automatically. So, when it comes time for restocking, your system knows exactly what was sold and what you need more of. Some POS software will even take note of your dwindling inventory and notify you when you need to restock. You can set automatic orders, so the order is placed without you even lifting a finger. Aside from the time and frustration you’re saving your employees (not to mention the money you save not having to pay for those hours spent counting), the peace of mind that comes from always having a finger on the pulse of your inventory alone is worth the initial expense. Sales tracking might be one of the greatest insights you can glean from a POS system. With all of the sales records and data managed in one system, business owners can see which products are selling like hot cakes and which ones are drier than your aunt’s holiday fruitcake. You can also see which items are most profitable (i.e., sell less frequently but bring in more overall profit per item). This valuable information can help you plan for restocking in the future. What’s more, sales tracking keeps tabs on another important issue. It’s hard enough running a business without keeping tabs on your employees too. Unfortunately, you can never be certain that an employee is honest when you hire them, and often it turns out to be just the opposite. A recent study showed that employee theft costs US businesses roughly $50 billion per year! A POS system allows you to keep track of sales, so you know exactly how much money is supposed to be in the cash drawer at the end of each night. This kind of accountability is not only great for accounting purposes, but it keeps would-be petty theft at bay. If you are in the restaurant business, POS software is especially helpful for creating faster workflow and turnover. Instead of the wait staff taking an order, going to the kitchen, and then coming back to the floor, they can simply tap a button and send the order in to be processed automatically. The staff is then available immediately to take more orders. Wait staff isn’t waiting around for payments either since these can be processed on the spot, freeing up tables faster for new customers. The POS system is faster, more efficient, and more dynamic, maximizing your sales at every junction. There is also smoother communication between kitchen and wait staff and between sales and retail staff. When orders are ready, the staff is notified to come to pick it up. If an item is unavailable, the menu is updated automatically. When there are sales running, the registers are updated accordingly. Everything gets processed smoothly and instantaneously instead of the usual glitches that come from natural human error. POS software allows you to expand your reach because it enables you to take payments from anywhere and can process credit cards. That means even small businesses can accept credit cards (even if they’re working from their basement!). This significantly impacts the number of sales possible for any business owner. Customer management is another benefit of a good POS system. 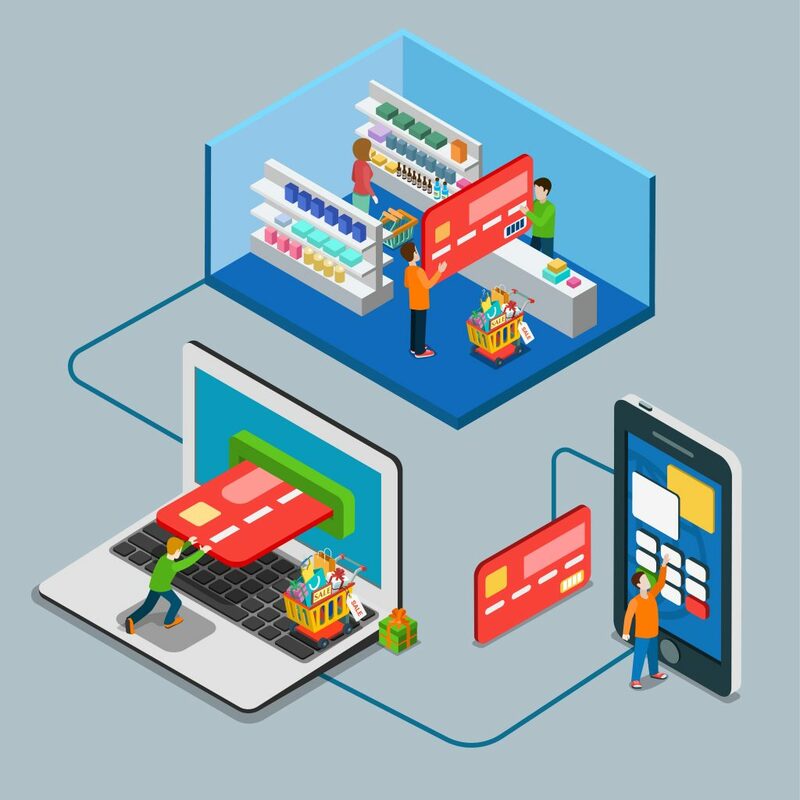 With this technology, you can easily see which customers are shopping more often and reward them with a tailor-made loyalty program or gift cards. You can also figure out how to reach those customers that aren’t shopping as frequently with carefully planned marketing tactics. Finally, POS software offers in-depth reporting that you absolutely cannot beat. With all of the information at your fingertips, you can view sales records, month-on-month returns, year-on-year charts, and so much more. As you can see, POS software offers tremendous benefits to small businesses of every type. But is this the right solution for you? The biggest downside to POS software is that it is more expensive than the more traditional options. With technology ever-advancing and the world speeding up right alongside it though, traditional cash registers are all-too-quickly becoming obsolete, and soon these will all (inevitably) be replaced by the more efficient POS systems currently being adopted across the world. Besides, with more brands competing for your business, POS software is becoming increasingly more affordable. Finally, SaaS POS systems run you just a few hundred dollars and are easily affordable to any size business. If you run a boutique coffee shop or are just getting started, you may want to begin with this type and build yourself up to something more sophisticated. 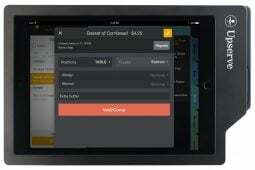 For example, Square is an iPad POS, so it requires very little overhead costs, just the software and the tablets. Bottom line, if you’re running a business in the 21st century, it’s not so much a question of should you but rather when will you turn over to POS software. Ultimately, this technology is faster, more efficient, more reliable, and tremendously benefit-rich, creating a greater ROI and larger profit margin all around. Check out the POS software competition, and see what one of these systems can do for your business this year.